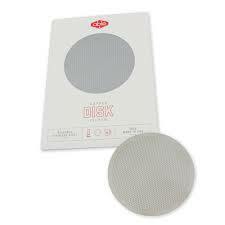 The Able coffee filter disk is a stainless steel filter designed to be used in the AeroPress or Bruer coffee maker. 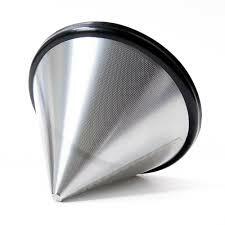 This reusable stainless steel filter disk eliminates the need for expensive paper filter replacements when using the AeroPress or Bruer. 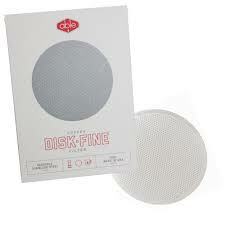 The disk is hassle-free, easy to wipe clean and best of all it’s reusable, so better for the environment. 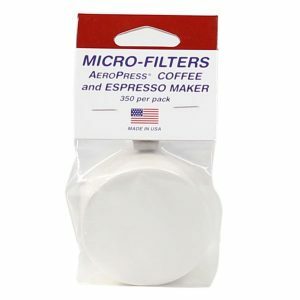 There are two options in the Abledisk filter range. Which one is right for you? STANDARD: Yields a fuller cup of coffee with a bit more fines. Thicker, and should last through many years of heavy use. It is more difficult to bend and/or damage. FINE: Produces a very sweet & clean cup of coffee with very little fines to none at all. It is much thinner (1/3 of the Standard) and should be handled with care, as bending/damage is more likely.